on the educational breakthroughs of L. Ron Hubbard. Contact the bookstore by email at phyllis@delphiboston.org or by phone at (617) 333-9610 to get your copy today! This book gives the practical knowledge to overcome the barriers to learning. The result is children who love to learn and can apply any subject to their lives. It is also an appropriate tool that can be used as an initial instruction program for teachers, tutors and parents in the use and implementation of Study Technology. This book provides a comprehensive education in Study Technology. It gives students the tools to use what they?ve learned in life, naming the Three Barriers to Study and how to overcome them. Ideal for children ages 12 and up. This unique book provides the missing link within education–the understanding of terms, symbols and abbreviations contained in dictionaries. Explained in picture and word form, this book shows a student how to use a dictionary and provides a tool for comprehension and the means to a powerful vocabulary. This book provides a more comprehensive education in Study Technology than the other basic study books. It can be studied by middle and high school students and adults to improve their ability to use what they study, and also professionals to improve their competence in the workplace. How do you get answers that help you sort things out in life? How do you make things sane and logical? This book answers these questions and more using illustrations, simple text and practical examples. The book is excellent for middle school students and up. Based on the works of L. Ron Hubbard. An excellent book for any middle school or high school student interested in learning the basic concepts of ethics, or simply interested in learning how to sort out the difference between right and wrong, good and evil. Plenty of illustrations and simple text present the subject in a way that is easy to understand. Based on the works of L. Ron Hubbard. Simply written with lots of illustrations, this book is perfect for middle school and high school students to learn the truth about drugs. Knowing what drugs do, why people take them and how they affect a person will help the reader avoid the pitfalls and traps of drugs in today’s world. Based on the works of L. Ron Hubbard. This book provides you with the skills you need to educate a child on how to apply what they’ve studied as well as understand the words and the material they study. It will also provide you with some simple truths about children and how to successfully raise them. A quick reference tool for derivations of the English language, originally compiled as part of the Heron Curriculum™ to give students a simple tool for better understanding words. This book serves as a bridge to the use of more advanced dictionaries that include derivations in each word entry. Appendices include a history of the English language and more about derivations and how to read them. Principles and Techniques for Effective LearningNew full-color, professionally printed edition of this tour-de-force handbook on study.Finally, a presentation of this material in a format suitable to the quality and power of its content! 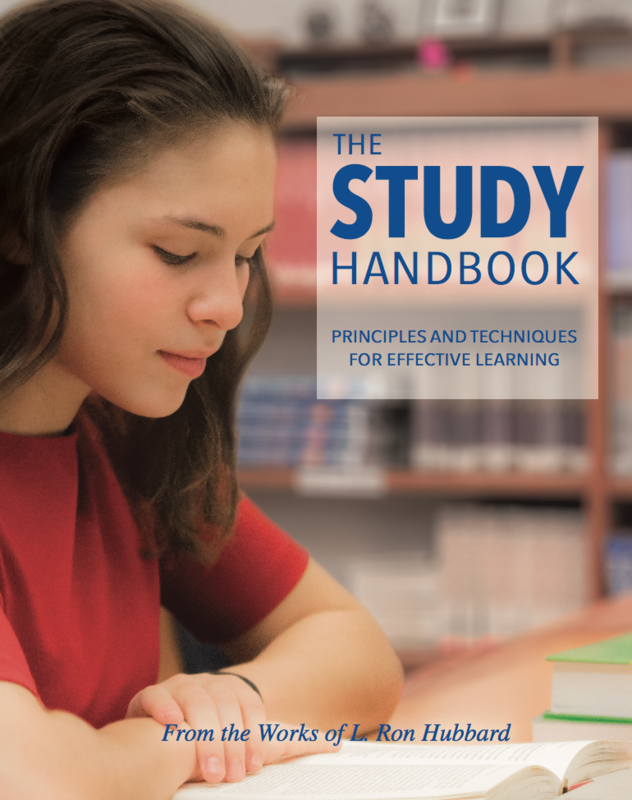 The 180-page text, 40-page glossary and 50-page in-depth index of comprehensive and flawless representation of study technology have not changed. Nevertheless, faculty and students will now find the book incomparably inviting and want to study it and use it more than ever before—guaranteed!